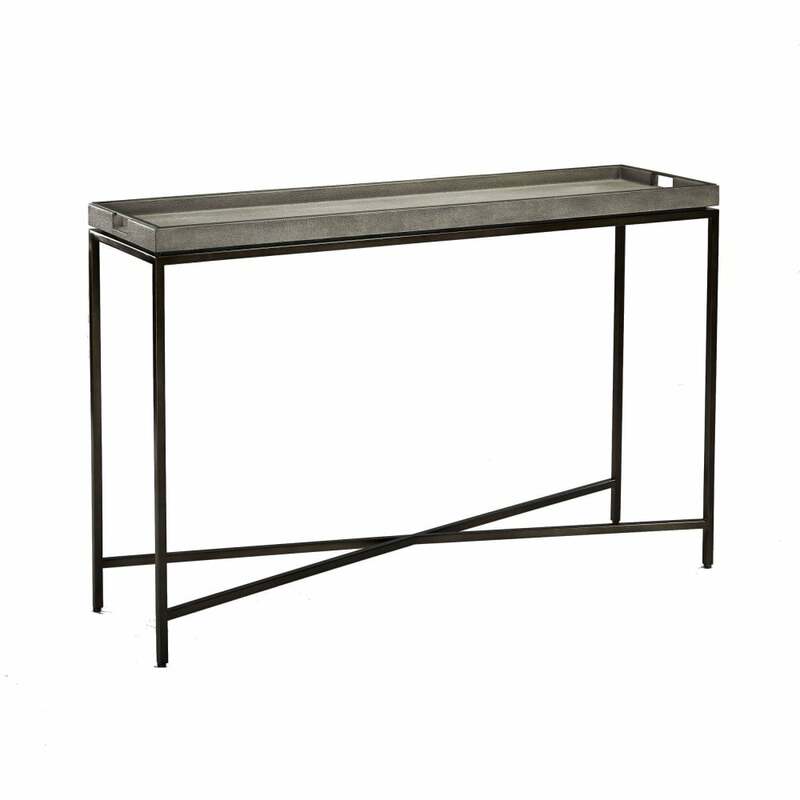 Featuring a sleek cross frame, the Collins Console Table will make a stylish addition to any home interior. Hand-crafted in the UK, the fixed tray style table-top is finished in an on-trend faux Shagreen. The textured surface and bronze metal base will work beautifully in an art deco style apartment or period townhouse. Style with an elegant, glass table lamp and reflective, metallic accessories to draw attention to the surface detailing. Part of the Shagreen range by Robert Langford, the console is available in a moody dove grey or a classic chalk hue.